For roughly the entirety of Penn State football's modern existence, short a dozen or so exceptions, "this year" has been the year that the Nittany Lions' offensive line will be a strength. The year when it all comes together and a wall of flesh will knock defenders backwards, off their feet. So whenever an offensive lineman says this is "the year" there is a tendency to nod and smile because making people who can pick up sofas without any help angry is a sure way to get snapped in half. The same could be said for Penn State lineman Connor McGovern, who is actually quite nice, but also as sure of "this year" as anyone. Except this time he and his teammates might not be wrong. "I think this year, this will be the year of the offensive line," McGovern said on Tuesday. "We're improving from last year, every man up front is taking steps forward and I think we'll be the leaders of the offense this year. I just feel like this year definitely we're more on the same page communication-wise. We're talking a lot more, a lot more comfortable playing with each other and I think that's just gonna help us progress even more this year." "We have a lot of guys back, we're all comfortable with each other, we're a year older. We're just going to be able to come out and be ourselves and just dominate people up front." If nothing else Penn State will return a lot of familiar faces up front along side McGovern. 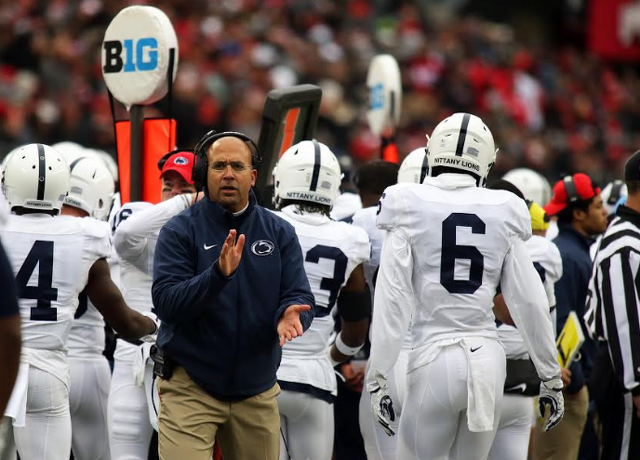 The likes of Ryan Bates, Chasz Wright, Steven Gonzalez and Will Fries will provide the Nittany Lions will plenty of veteran presence in the trenches. Another wrinkle, no Saquon Barkley. It might sound insane to suggest, but the potential No.1 overall pick taking the next step to the NFL means opposing defenses might not be as eager to stack the box and win the numbers game up front. Long gone are the games where eight or nine defenders are trying to stop one player. No matter how good Miles Sanders or Ricky Slade might be, they won't command that same attention. And in turn, things will be just a bit easier for the big guys up front. "Saquon's a phenomenal player and all that, but I think our running backs will be just fine this year. O-line will step up, Miles is a great RB, Mark Allen is great, too. We wont' miss a beat this year, I don't think." McGovern added. So maybe, for real this time, "this year" really is the year.